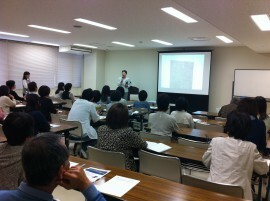 On 18th May, I had the lecture event that had already been asked some time ago. At Yokkaichi city, Mie Prefecture, Chunichi Culture Center hosted the small “Special Lecture”. The theme was “The heartful hotels around the world”. Also Chunichi Shimbun newspaper noticed the lecture. Almost all of the audience was women and they listened intently to the lecture. Women are active anywhere in the world!